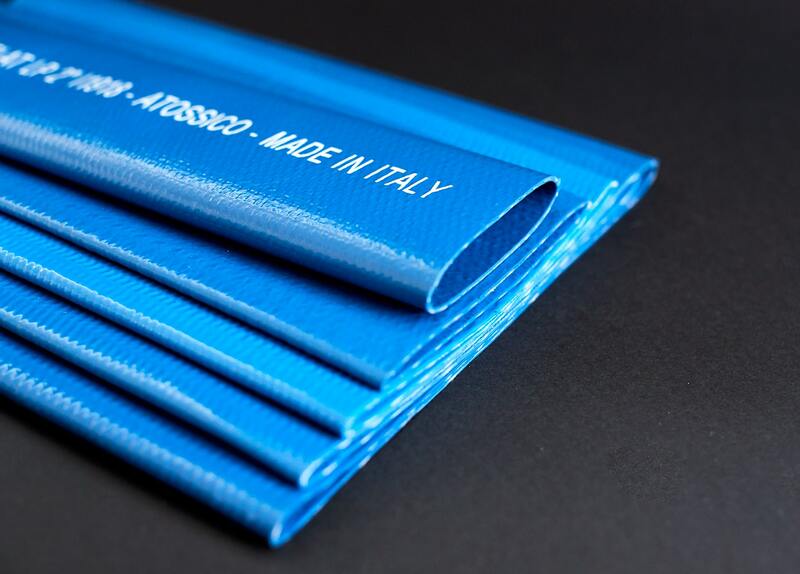 AQUAFLAT PVC is a flexible, single-layer PVC pipe, reinforced by a high-strength polyester mesh, ideal for use as a manifold in drip irrigation systems, where is necessary to move installation in a frequent way. It Can also be used for irrigation with mini-sprinklers. AQUAFLAT PVC represents a good alternative for water conveyance with polyethylene or rigid PVC pipes. Virgin Raw Materials with certification of non-toxicity. UV-resistant pipe to the attack of micro-organisms and moulds, saline water, acids or alkaline solutions normally used in agriculture. Polyester fabric thread ( "twisted ") for greater resistance. Polyester Sock perfectly incorporated in the PVC single layer.